Mohamed Salah and Xherdan Shaqiri scored either side of half-time to give the Reds yet another crucial win. Liverpool have momentarily move to the top spot on the Premier League standings after they recorded a 2-0 win over Fulham to extend their unbeaten start to the domestic League season. Salah was denied early on by Fulham's Sergio Rico but the visitors created two good opportunities to take the lead. Ryan Sessegnon dragged the ball wide when played through on goal while Andre Schurrle's shot was saved by Alisson. Salah broke the deadlock on 41 minutes when he calmly finished off a smart counter-attack 14 seconds after Aleksandar Mitrovic had a goal ruled out for offside. Shaqiri then sealed the three points eight minutes after the break with a smart finish at the back post from Andrew Robertson's cross. 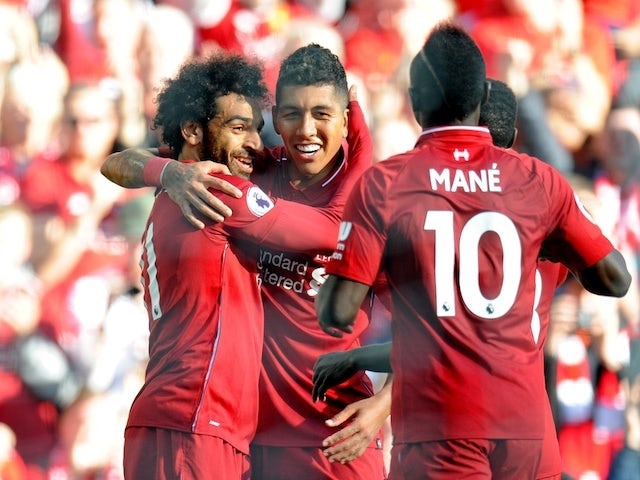 Though Liverpool have gone top of the table, the result of the games involving Manchester City and Chelsea will determine where they will be at the end of this weekend. On their part, Fulham, who suffered their sixth straight league defeat, remain bottom, three points from safety.